Are you missing out when it comes to data monetization? After doing some recent research with IDC®, I got to thinking again about the reasons that organizations of all sizes in all industries are so slow at adopting analytics as part of their ‘business as usual’ operations. IDC states that “50.6% of Asia Pacific enterprises want to monetize their data in the next 18 months”. Are you one of them or are you going to let your competition get the jump on you? Big data (or more specifically how to actually gain some sort of competitive advantage from it) is top of mind for forward-looking businesses. Our research with IDC gives us a few clues on where to head when it comes to the monetization discussion. Data partnerships, where organizations sell or share core analytics capabilities with partners. Organizations that adopt and combine all three key approaches to leverage analytics are twice as likely to outperform their peers1. If you’re looking to truly create value from the stores of data you have then you need to look at deploying analytics. 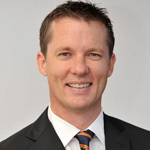 Greg Wood is Director of Product Marketing for SAS Asia Pacific. A 17 year veteran of SAS Greg has worked across the business from analytical consulting through to his current role being responsible for regional product marketing ensuring the value that SAS brings is understood by the market. Greg works with senior IT and Business leaders to understand their needs and develop market based approaches to helping organizations deliver value from Business Analytics. He has a passion for evangalising the value that analytics brings. Prior to joining SAS Greg worked in the actuarial science within the life insurance industry creating new insurance products and services for the market. Greg also worked as a senior statistician in the market research industry at a leading global firm with responsibilities for survey design and research for media and political polling as well as population statistics research and estimation. Greg has a Bachelor of Science in Statistics from the Australian National University and did post-graduate studies at Macquarie Graduate School of Management in marketing and international management.